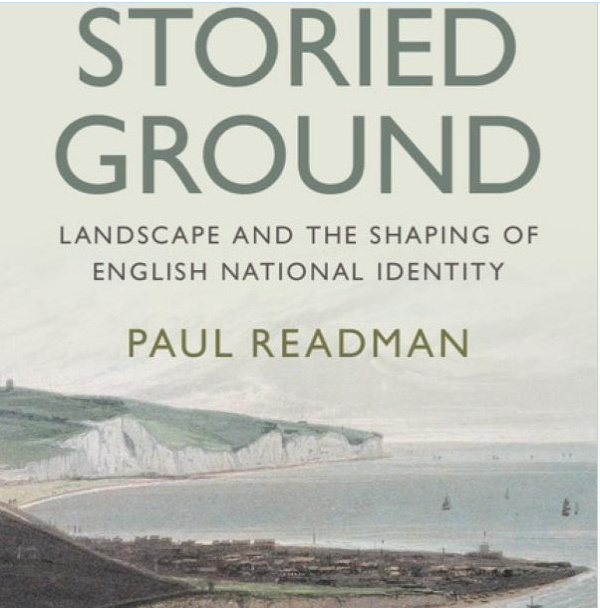 This wide-ranging and stimulating book ‘uncovers why landscape matters so much to the English people, exploring its particular importance in shaping English national identity amid the transformations of modernity’. The obvious landscape references are present, from the white cliffs of Dover to the Lake District peaks and fells, but the book is also concerned with how a sense of the past is also derived from ‘collective memories and cultural traditions’. It also emphasizes that between the eighteenth and early twentieth centuries, Englishness extended ‘far beyond the pastoral idyll of chocolate-box thatched cottages, waving fields of corn and quaint country churches’ to vastly diverse locations, urban as well as rural, north as well as south, where ‘it took strikingly diverse forms’. The chapters encompass borders from the Kent coast the Northumbrian Borderland; the Lake District; the New Forest and the Thames, but also include Manchester as an example of a Shock Landscape’. Readman concludes that ‘the modern idea of English national identity, as it developed over the course of the long nineteenth century, was founded on a sense of the nation having a very lengthy and largely continuous history’ which ‘at a time of great change -social, cultural, political, technological, demographic’ generated ‘a sense of continuity’ which had ‘great attraction and power’. However, he also rightly suggests, as members of the Historical Association will be well aware, that the sources of this ‘patriotic identity’ have not ‘been sufficiently appreciated by scholars’ to be found in landscape as well as ‘other more familiar elements of historical culture’. This is a book that will enrich the awareness and understanding of anyone who is interested in history in whatever dimension, not least those who seek to engage the interests of others, including children and young people in the history of the country in which they live. It is well-written and strongly recommended even if its chapters do not span those particular places in which you are especially interested.